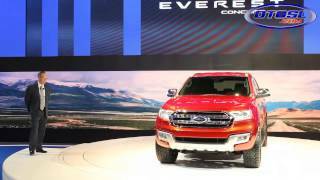 Ford unveiled the 2014 Ford Everest Concept at the 2014 Bangkok International Auto Show. 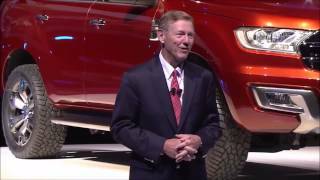 The new Everest Concept shows Ford's vision for a mid-size, seven-seat versatile SUV for ASEAN and global markets, to be built in Thailand. 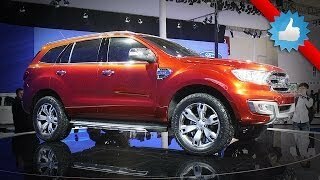 The Ford Everest Concept is built upon key Ford design cues, combining sleekness and refinement with bold and rugged technical details. Headlamps connected to a prominent inverted trapezoid grille set high on the front allowed designers to maximize the headlamps’ dimensions, communicating better functionality while emphasizing the grille and the SUV’s width. The result is a strong and powerful presence for the entire front end, one which is unmistakably a Ford.